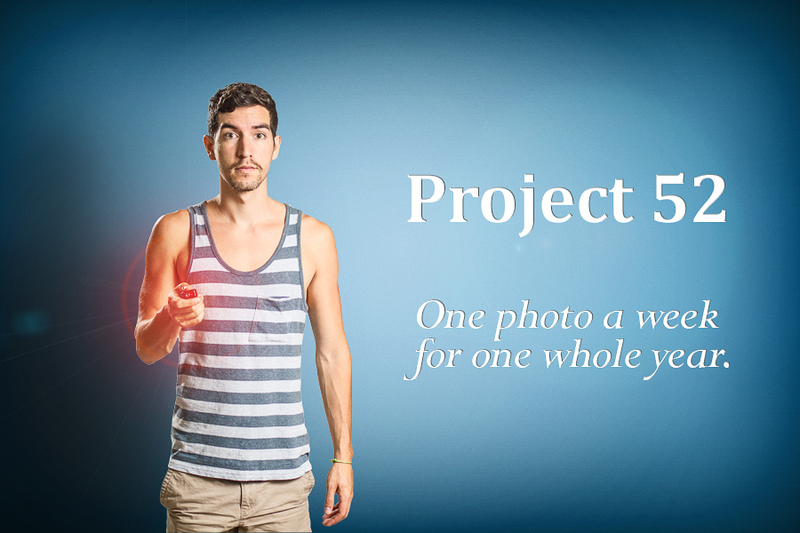 I have officially decided to start my very own Project 52. For those of you who don’t know what that is, it basically means that I plan to shoot, edit, and post one self-portrait every week for one year (52 weeks in a year, get it?) with the intention to improve my skills and concentrate my efforts on photography as well as create a really neat collection of photographs. I thought about the doing 365 Project (one photo everyday for a year), and I am still considering doing that in the near future as well, but I chose the Project 52 because I really want to concentrate on producing one spectacular image each week – this will consist of pre-planning such as sketching out ideas and organizing the locations/props, shooting the actual photos, and a good amount of photoshop editing – and I’m super excited to push myself to get better with every aspect of it. I’d like to take it a step further and document a bit of behind the scenes action to give you all an idea of how much time and effort it can take to produce an outstanding image. I also hope this helps other photographers learn more about photography and photoshop and just how powerful these two mediums really are. Feel free to ask any questions in the comments section or by sending me an email! If you want the less nerdy version, you can click here for my Project 52 Set on 500px, and be sure to Follow me on Facebook so you can stay up to date with the project! !